Sony has unveiled its Sony Bravia V4500 range, a new line of LCD HDTVs designed to be even more future-proof than the current future-proof TVs already on offer. 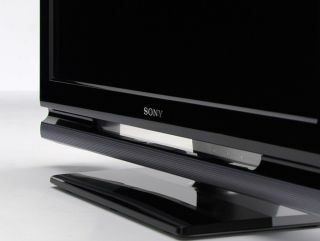 The series, which incorporates 26-inch, 32-inch and 37-inch models, has an integrated MPEG-4 AVC HD tuner, allowing the user to watch terrestrial HD programming. With Freeview HD tipped to hit UK shores as early as next year, V4500 series owners could enjoy full TV picture quality without a monthly contract, which should help push HD sales throughout the market. The sets come in at 720p WXGA (1360 x 768 resolution), and offer a high dynamic contrast ratio of 33,000:1for the 26-inch and 32-inch models, though no word on contrast for the 37-incher. Three HDMI sockets are included for gaming and external HD players/tuners, and each TV comes with 24p playback, allowing Blu-ray to be shown in its native resolution. The new Bravia series also comes with USB capabilities, which would allow the TVs to be used as giant picture frames when not in use. So far there are no details on whether other functionality, such as video file playback, will be included. And no word on price is available yet, though the new line should be available in the next week.